Over the span of 30 minutes this morning I was rejected twice. My friends know this isn’t a unique experience for me. I’m not ashamed to ask for what I want, and I typically don’t mind being rejected. I get it – avocado can’t be added to every meal. But I’ll sure ask to see if it’s possible. The key phrase is I ‘typically’ don’t mind hearing the word NO. There are a few exceptions… mainly when the NO is based on protocol I don’t agree with. As you might guess, my morning rejections were based on protocols. However both had polar opposite different outcomes. The UK government believes everyone is a money launderer until proven innocent (1) and requires UK tax payers to provide a certified ID. Their guidance (2) first suggests a bank for ID certification, so this morning I stopped by my trusty (cough) bank HSBC (3). Undeterred, I explain I’m a 5-year customer and can answer all necessary security questions. Nope, it’s a HSBC policy she repeats, and then comments that her bank Lloyds (4) does certify IDs. I understand she doesn’t have power to override policy in this situation and ask for a manager. After a few minutes over walks a nice woman who repeats HSBC policy of not certifying IDs. She’s the manager of course, and her extra insight for rejecting me is to prevent money laundering. This sets me off a little – THE WHOLE REASON for this certified ID is to prevent money laundering. However, no manner of reasoning break this bank manager’s policy today – it’s a lost cause. 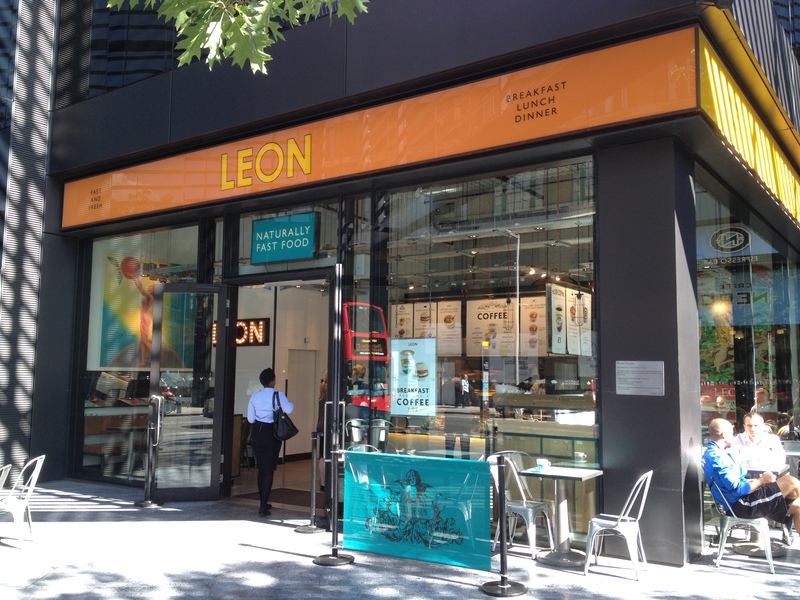 So off I continued on my way to work, into the tube, past Prince Harry (5), and then a stop at my favourite quick breakfast spot Leon. I often stop at Leon for my favourite egg, salmon, and avocado pot (6), and at £2.95 it’s a steal. I love my morning Leon pot, but they don’t quite fill me up. I’ve always wondered… could another egg be added to this pot, and if so would this indeed fill me up. Without much consideration I indeed asked for that extra egg in my pot. Boy would a 2-egg pot be wonderful – twice the fun! To my surprise the friendly till clerk says he can add an egg, for the additional charge of £1.95. I do some quick math, and although the egg is likely the least expensive item in the pot it would raise the total price substantially. I counter offer £1.05 with this cheap egg rationale to bring my total cost to €4.00 – surely a reasonable price for a two egg salmon avocado pot. This is when my second rejection happens, although the till clerk is friendly he won’t break the till pricing protocol. So I pay and we go our separate ways. I’ve now had two policy-based rejections in quick succession, both which annoyed me for being inflexible. But while the first at HSBC really ticked me off, the second at Leon didn’t bother me much – it was worth a shot after all. He then stuck out what I initially perceived as a shake attempt hand, but quickly noticed a red loyalty card being offered. This was not a normal loyalty card – this one was FULLY STAMPED and provided a free meal! “Next time please have that two egg pot on us” the till clerk said and waved goodbye. Wow, what a nice guy, leveraging his loyalty card stamp power to compensate for what I perceived as an unfair policy. In business school what this clerk just pulled was the ‘make my day’ approach to customer service. Something Zappos (7) is often commended for using. On one hand it’s so easy to make a customer feel like they’re special. It typically costs very little and takes no more than a few minutes. But personally engaging with customers requires quick thinking in an often monotonous, transaction based role that’s compensated based on productivity. (9) Maybe there’s a business opportunity here? A 1-click ‘little bit extra’ that sends a random by considerate out-of-the blue followups like a box of chocolate, balloons, a gift card, etc to anyone in your contact list?